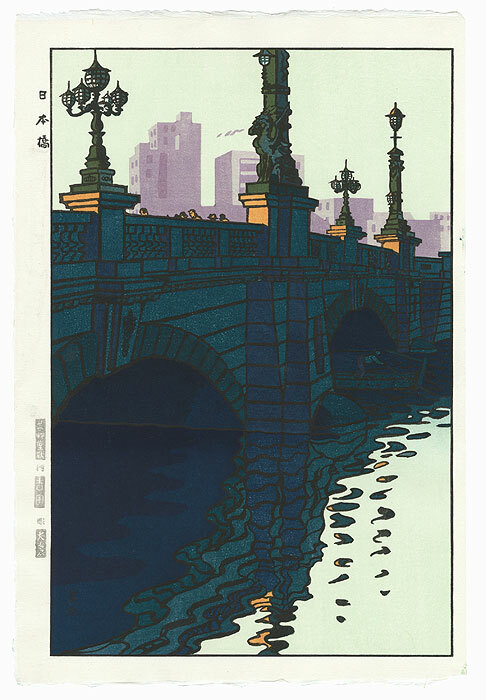 Comments - Terrific view of the famous Nihonbashi or Nihon Bridge over the Nihon River in Tokyo. 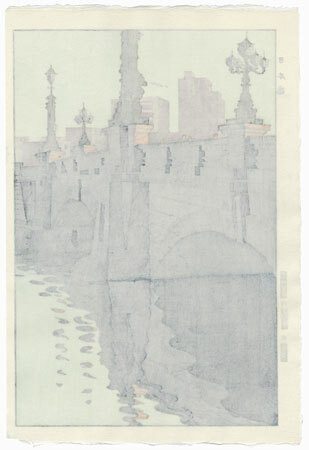 The stone structure is shaded in dark blues and greens, its reflection shimmering on the water below. 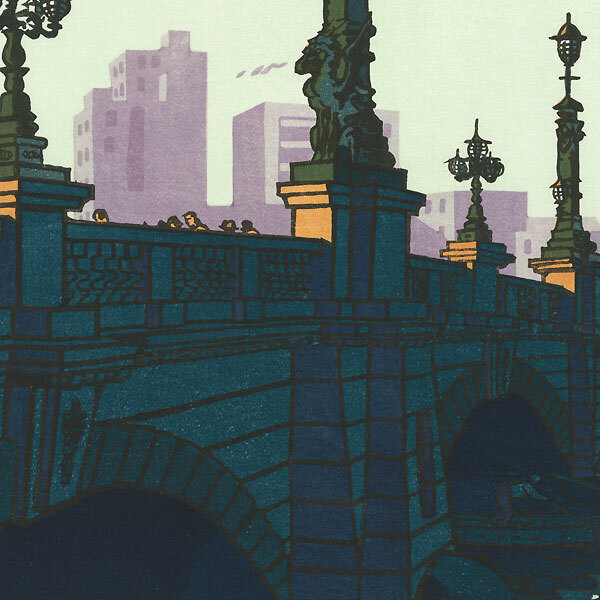 The verticals of the street lamps echo the buildings in lavender silhouette in the distance, creating a nice contrast to the strong horizontality of the bridge. A single boatman poles his craft along the water, almost hidden from view. A great bold, modern image.